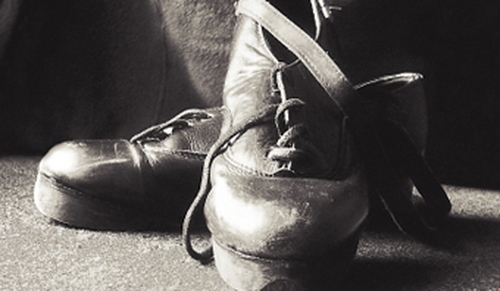 The early history of Irish dance reveals a constant shifting of population through migration and invasions. Throughout the ages, many different dances and dance influences came to Ireland. During the eighteenth century, the dancing master appeared in Ireland. He was a wandering dancing teacher who travelled from village to village in a district, teaching dance to peasants. Dancing masters were flamboyant characters who wore bright clothes and carried staffs. Their young pupils did not know the difference between their left and right feet. To overcome this problem, the dancing master would tie straw or hay to his pupils' left or right feet and instruct them to "lift hay foot" or "lift straw foot". Group dances were developed by the masters to hold the interest of their less gifted pupils and to give them the chance to enjoy dancing. The standard of these dances was very high. Solo dancers were held in high esteem and often doors were taken off hinges and placed on the ground for the soloists to dance on. Each dancing master had his own district and never encroached on another master's territory. It was not unknown for a dancing master to be kidnapped by the residents of a neighbouring parish. When dancing masters met at fairs, they challenged each other to a public dancing contest that only ended when one of them dropped with fatigue. 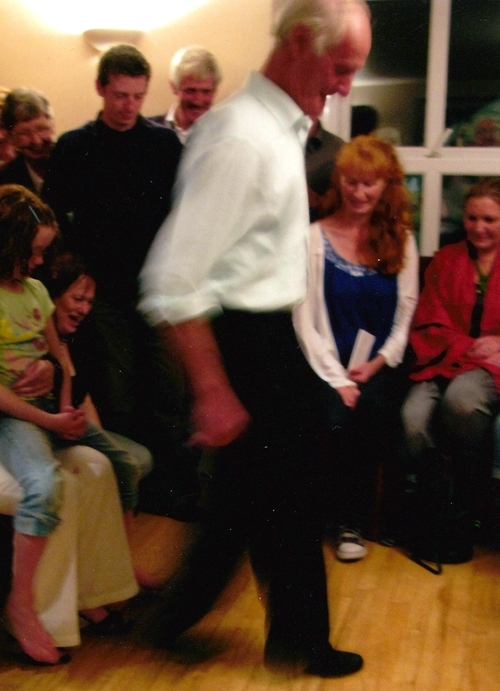 Several versions of the same dance were to be found in different parts of Ireland. 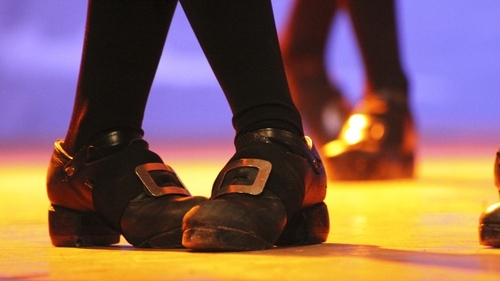 In this way a rich heritage of Irish dances was assembled and modified over the centuries. Today, jigs, reels, hornpipes, sets, half sets, polkas and step dances are all performed. Solo dancing or step dancing first appeared at the end of the eighteenth century.